We have reached the stage in Laylas' life where there seems to be a never ending river of dribble coming out of her mouth which can only mean lots of soggy bibs!!! I was very lucky to receive one of the new Doublez bibs from Skibz to review, well I say for me but Layla was doing all of the wearing. 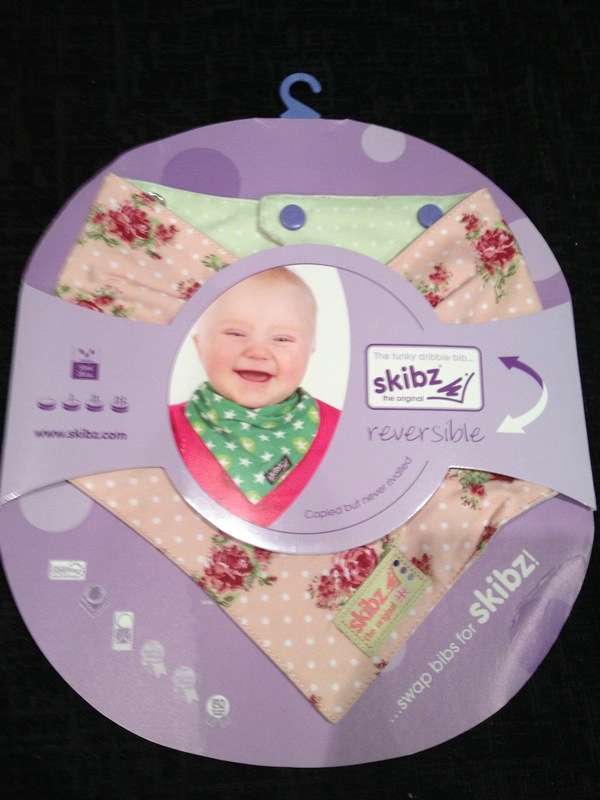 For those of you that haven't heard of Skibz they are a lovely company that provide well designed bandana bibs for your little ones. As well as this they do bibs for meal times called Feederz. I received our bib last week in the vintage rose and dotty green colourway, unbelievably cute. There are however 7 different designs to choose from, a mix of boy, girl and gender neutral designs, so something for everyone. The little smiling baby on the packaging immediately draws you in. Well if they are happy wearing the bib then why wouldn't my little one be. 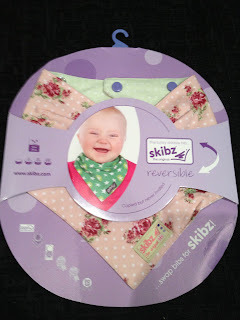 One big thing that you will notice is that the bib is reversible hence the name doublez. I think this is quite clever, as if you're anything like me you buy bibs to match the outfits, this means only buying half the amount of bibs. One thing I find a lot with bibs is that they are to wide around the neck, they are a one size fits all. I was pleased to see that these bibs are adjustable with 2 popper settings. I done it up on the tightest setting on Layla and the fit was snug but not too tight. 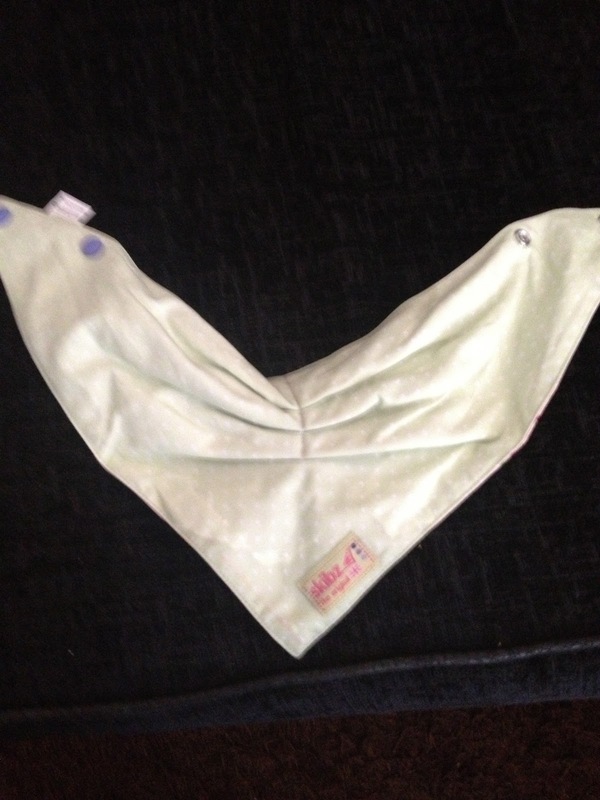 The real test was the dribble test, how long could the bib survive from the rivers that flowed from Laylas mouth. I'm pleased to report that after 3 hours of wearing it, even though it was wet one side, you can see by the picture to your right, the wetness didn't come through to the other side, a real success. 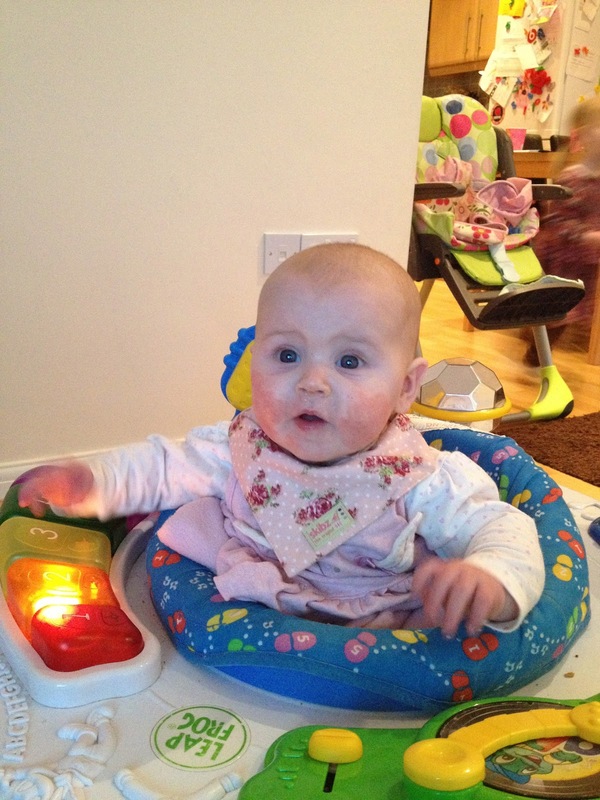 As you can see from the photo below Layla was very happy wearing the Doublez bib,it even survived a little bit of chewing from her too. Retailing at £12.50 they won't break the bank and being made out of 100% cotton means that they can be washed time and time again even at 60 degrees and they won't be ruined. I have to confess mine even went in the tumble dryer accidently and it came out good as new!!!! You can follow Skibz on both Facebook and Twitter for all the latest news and for some great giveaways. Finally I'm interested, which design would you pick and why?? I have one of these on the way, and after reading this review I cant wait to give it a go!